I've decided to begin working on my own personal G.I. Joe Heroscape custom project (based on the 80's Marvel comic book line and 80's cartoon). 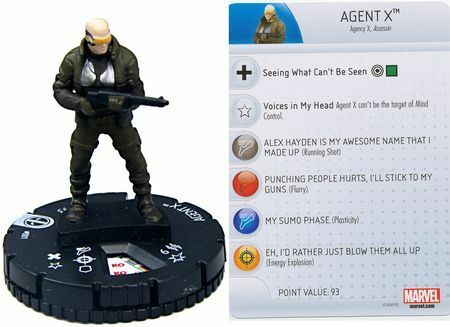 With no official minis available for the many distinct characters from the G.I. Joe universe I know that almost every mini will require some form of customization. Since painting, sculpting, and cannibalizing minis is not for everyone I don't really expect this project to ever grow in popularity on par with many of the other custom projects. Which is why my intent is just to keep this more of an individual project featuring just the figures I create the minis for. That being said, I also know that a collaborative effort will generate a better finished product and so anyone interested in commenting, contributing, questioning, suggesting, testing, polishing, improving on aspects of this project should feel welcome to do so. And of course all the designs and figure ideas that come out of this project will be posted here for anyone in the community to use and hopefully enjoy. This first post is where I will keep the links to all finished cards as they become available. Release Schedule - Subject to change. Reward Points - How you earn and spend points as a project contributor. Contributors - List of active contributors linked to their current point totals. Last edited by Yodaking; September 15th, 2014 at 11:28 AM. I'm going to save this second post to list the links for all figures/cards I am currently working on but have not yet finalized. Since I will keep all my design ideas and all the minis I create in this one thread, it could get difficult to find stuff so the links below will direct anyone interested to the most recent draft for a figures card. I've decided to aim for this project to be C3G compatible. 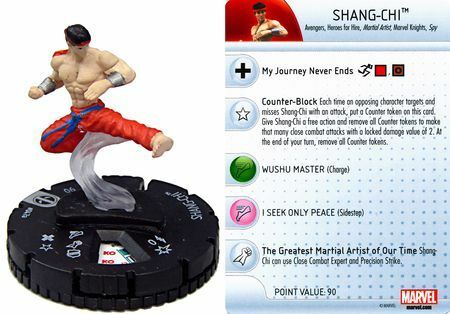 Since I don't know what is coming down the pipeline over at the C3G project, and they have no reason to be concerned about what I am doing here, their may at one point be some synergy created that could be overpowering but I will try to avoid any overpowering synergy combos based on the current slate of C3G cards. Here is the list of C3G units that I think compare favorably with the skills/stats/abilities/powers of the Joes & Cobra forces, as such I will try to use them as a guide for determining the relative power level of each figure & unit while still trying to stay within the parameters I have outlined for this project. With so many different characters over the years I know I won't make them all. So here are the ones I am most interested in getting a card made for. Not all of them will have a good mini option so I just listed them all for now. 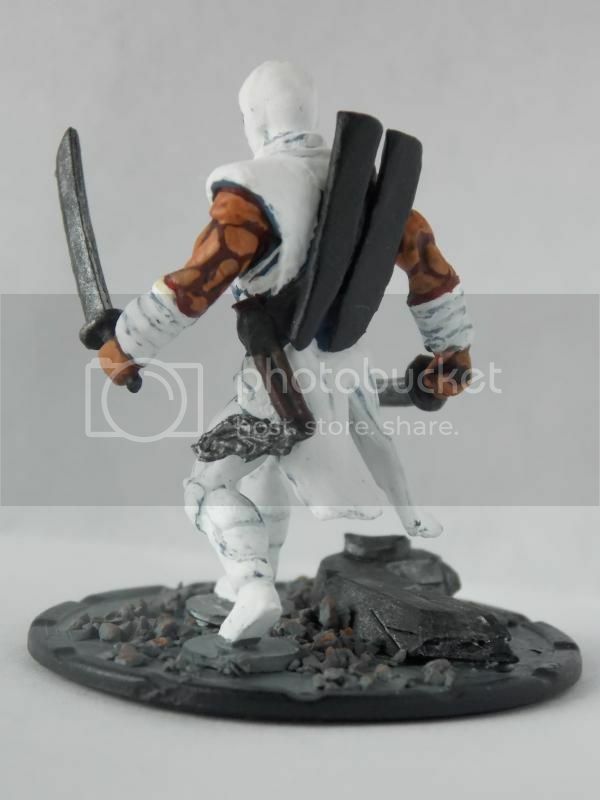 Let me know if you have any mini ideas (painted or unpainted) for figures that do not currently have a mini linked. Last edited by Yodaking; February 19th, 2017 at 03:09 PM. This post is no longer relevant since I switched direction to make this project C3G compatible. Instead as I complete designs I'll use this post for keeping track of them. Last edited by Yodaking; August 8th, 2014 at 06:58 PM. With all those disclaimers now out of the way I'll start posting some of the guidelines I have developed to help me avoid power cheap with my favorite characters and maintain game balance. That is not to say there won't be a few outliers where a figures given stat does not match up perfectly with what I have listed below. I may also amend or adjust these guideline as I move further along with the project if I feel a change is needed. I also developed a couple of other guides for dealing with certain aspects of the overall project. I've adjusted the interpretation of Classic Heroscapes view on a few weapon systems to better reflect reality. In my quest to enhance the game play of 1 attack heroes, I have also introduced a hard cap on squad sizes. In addition to keeping the size of squads in check I intend for squad/hero bonding interaction to originate on the Heroes card rather then be a special power on the squads card. That way instead of safely putting an OM on the squads card and being able to bond with any one of 3 heroes in your army, you will have to risk the on a Heroes card and then only have the option to bond that specific hero with the squad. 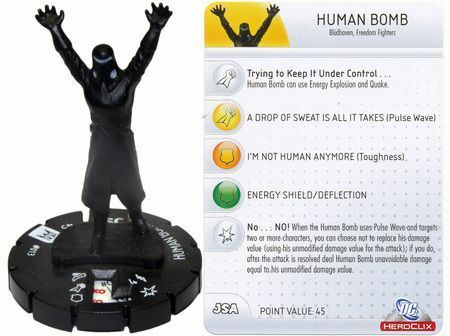 It also means that one of the special powers on a bonding hero card will be the bonding power and not something else. 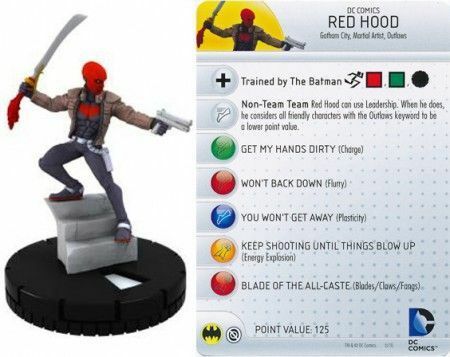 So the more unique special powers a hero has, the less likely that hero also gets to bond with a squad on top of all their cool powers. Last edited by Yodaking; August 26th, 2015 at 08:27 PM. *edit* After drawing up some more rough drafts I'm starting to think this is not ready yet after all. 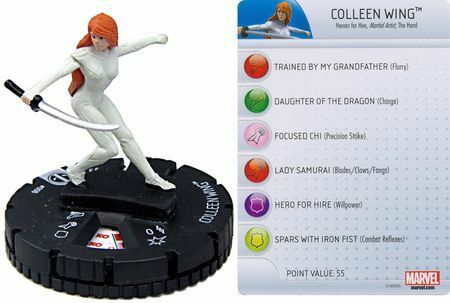 I'm ending up with too many figures all in the same price range and the system seems to be low balling heroes I would expect to be 120+ points. So I'm going to need to tweak it some more. I've also been developing a point scoring system to help me establish a starting point total from which to test the designs. It is by no means a fool proof system that will replace the need for testing, but after experimenting and tweaking it a few times now I'm pretty happy with the results. It also only gives a fair, consistent, and balanced view of a units core stats. Evaluating the special powers on the card is a bit more tricky but it can also help evaluating the relative strength of Special Attacks. I used this system to score a couple of classic scape Unique Heroes and Unique Squads though and it was surprisingly accurate. I did not check every hero & squad though so I expect there are many that would not score out well, in particular I know if the 200+ heroes in classic scape will generate an accurate score as I only tested it out on lower point heroes. Which is why I might continue to tweak and adjust this system going forward. Last edited by Yodaking; November 17th, 2013 at 11:58 PM. Now if you actually read through all that, or even if you just skimmed it wondering where the figures are, here is a teaser. 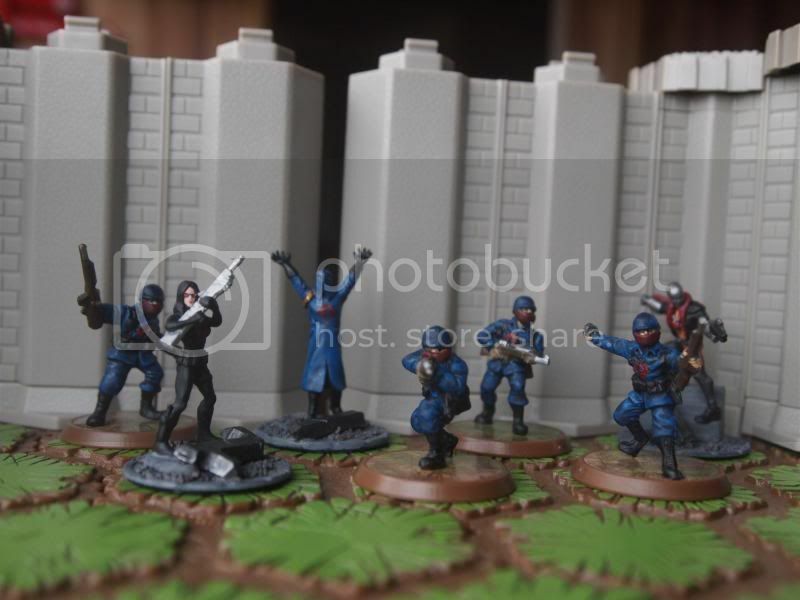 I started working on my custom Destro figure this week and that ended up expanding out to several other Cobra units. They are not quite finished yet but are getting close to stay tuned and I'll have some minis with first drafts for their cards out soon. I just wanted to get this thread started up and list all the info I had compiled for this project. I also wanted to give a shout out to CobraVigon and his Custom G.I. Joe thread. 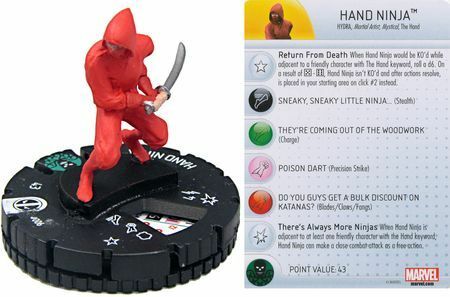 He has some great mini ideas being generated over there, of which I will be borrowing several. Also just wanted to make a general request for G.I. Joe & Cobra mini ideas. If you spotted an appropriately sized mini somewhere, painted or unpainted, and think it would be a good option for me please do share. I do have ideas for several of the characters already in mind but there are many more that I am still trying to decide on or have no ideas for at all yet. Last edited by Yodaking; August 8th, 2014 at 07:00 PM. 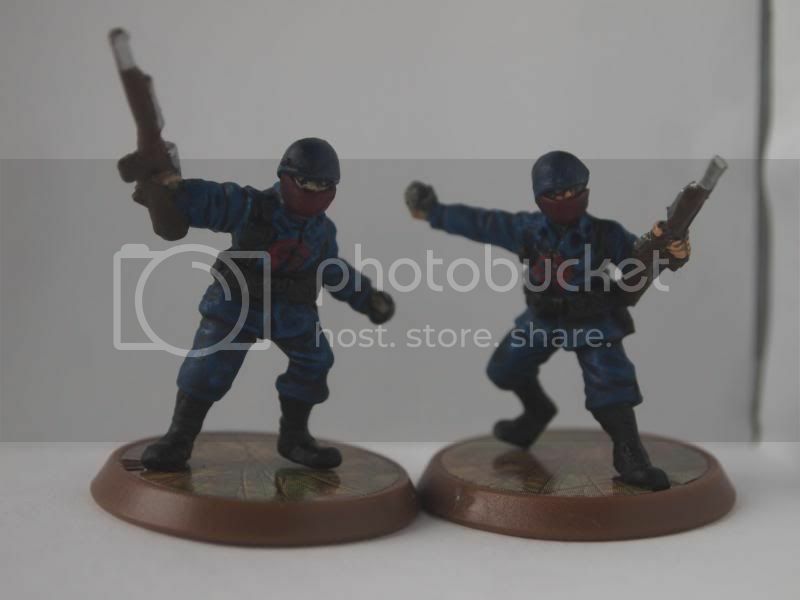 I finished up work on some Cobra minis this week. I'll give each unit its own thread for linking purposes. 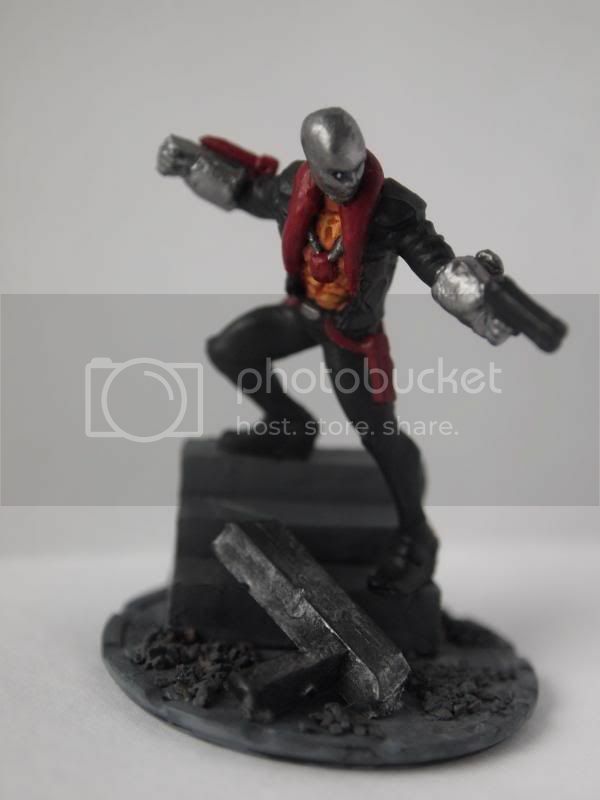 First up is Destro as he was the motivator for everything else. 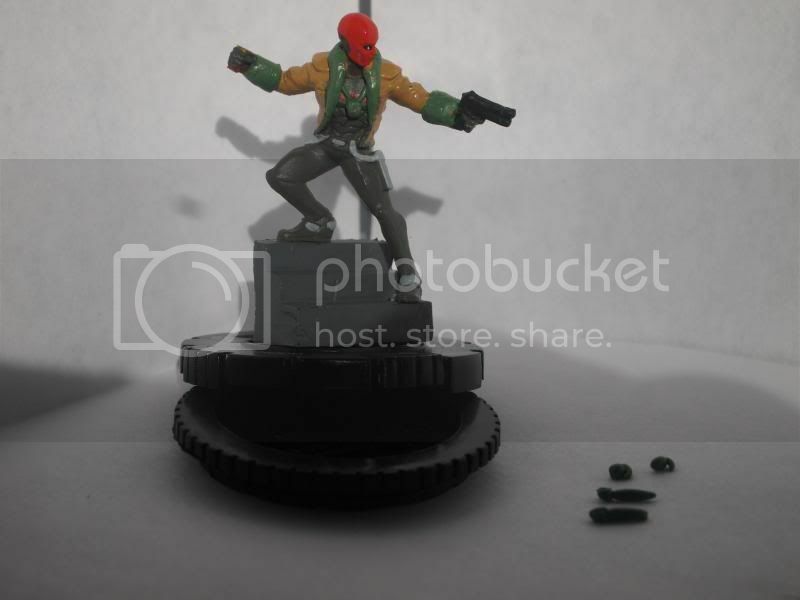 I picked up this Red Hood figure from the Teen Titans line and he just looked like a Destro mini to me. I cut off the sword then added gloves/gauntlets, the necklace, and the collar. 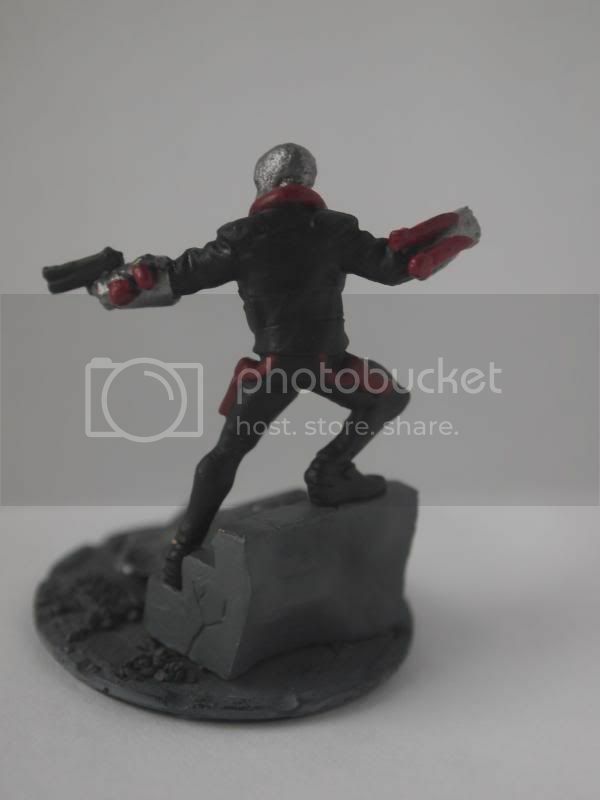 I also made some mini rockets & grenades for his gauntlets, leaving them separate for painting purposes. Here is a back side view so you can better see how the grenades & mini rockets turned out. 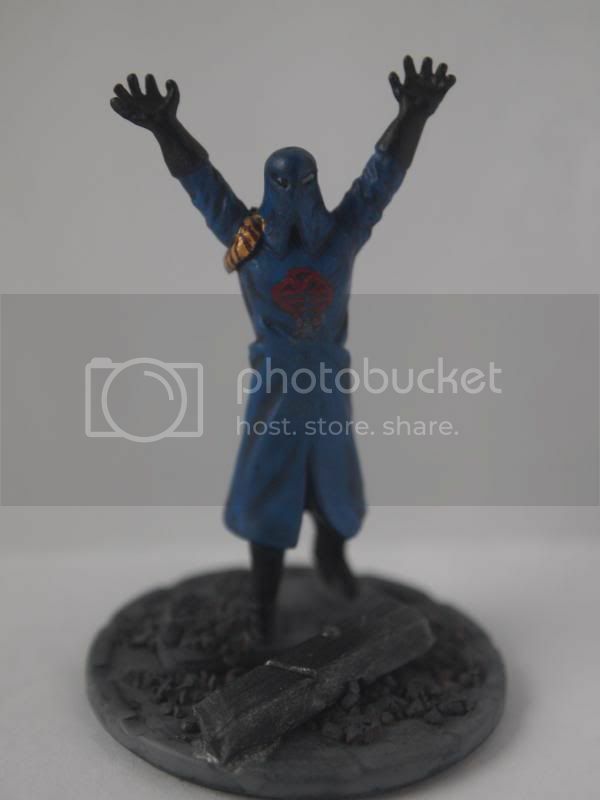 I had some green stuff left over so I grabbed my Human Bomb figure and got to work on Cobra Commander. 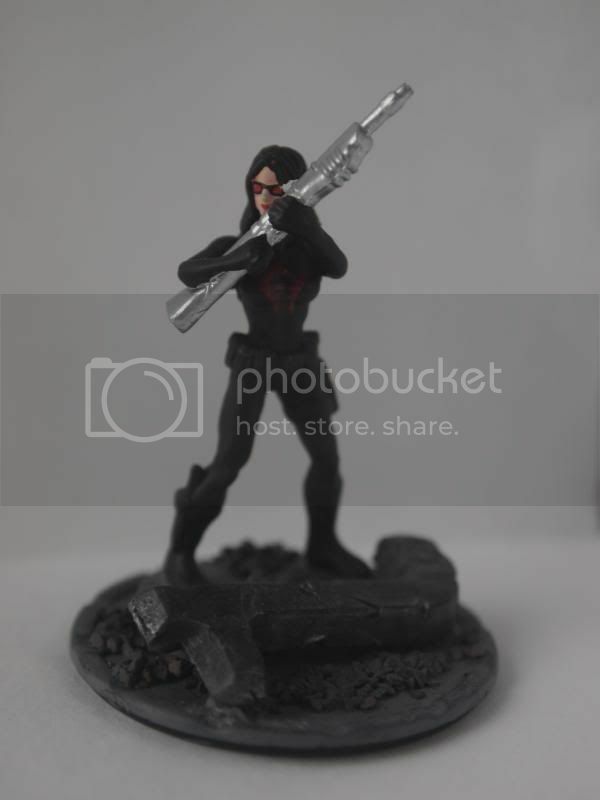 The Baroness was real easy to do, no modding at all just a new paint job for the Victoria Hand figure and a new base. I still had a bunch of green stuff left over so I grabbed 2 extra sets of Airborne Elite that I had and gave them all masks. 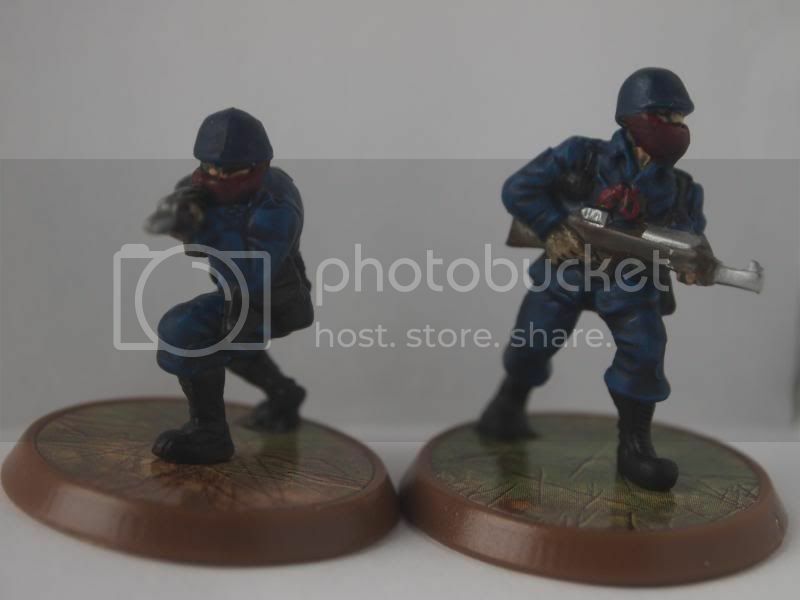 I'm still working on painting the second set of figures but here is the first set.